and it should feel personal. We love welcoming patients to our beautiful office on Roger’s Road. The space is comfortable, modern, and sophisticated; we also offer free refreshments and a large play area for the kids (and parents)! We can’t wait to see you. Dr. Lee McPherson M.P.H. O.D. F.A.A.O. 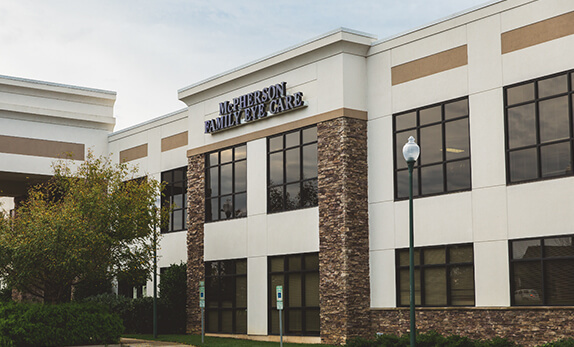 Dr. McPherson has enjoyed providing compassionate, quality eye care for Wake Forest and surrounding communities since 2005. He graduated at the top of his class from The University of Alabama School of Optometry in Birmingham, Alabama. He then completed a residency in ocular disease at the top eye hospital in the nation, Bascom Palmer Eye Institute in Miami, Florida. Dr. McPherson also serves as a clinical examiner for the North Carolina State Board of Optometry. Dr. McPherson is a staunch Carolina Hurricanes fan; a testament to his belief that community spirit is more important than winning. He also enjoys gardening, fast cars, Friday Night on White, and spending time with his son and wife in their Rolesville home. Dr. Samantha McPherson O.D. F.A.A.O. 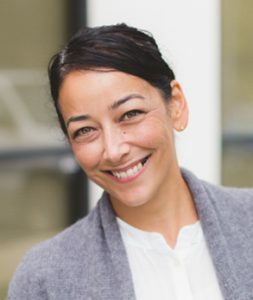 Samantha McPherson (formerly Samantha Ward), grew up in Napa, California and received her Bachelor’s degree in Molecular Cell Biology and her Doctorate of Optometry from the University of California at Berkeley. After earning her doctorate, Dr. McPherson completed advanced residency training at Bascom Palmer Eye Institute; the nation’s leading eye hospital and one of the most competitive and challenging residencies available. Today she provides comprehensive eye care, with a special interest in state-of-the-art pediatric and dry eye care to the Wake Forest community. Dr. McPherson is proud to call North Carolina home for her and her family. She enjoys cooking, gardening, and spending time with her son and husband. Dr. Cassandria Warr O.D., F.A.A.O. After receiving an undergraduate from UC-Riverside, Cassandria Warr graduated with honors from Nova Southeastern University College of Optometry. After earning her doctorate, Dr. Warr completed her residency training in the field of Vision Therapy and Rehabilitative Optometry at Appelbaum Eye Care Associates in Maryland. Dr. Warr provides comprehensive and emergent eye care for all patients. Her interest areas of optometry include pediatrics, vision therapy, rehabilitative therapy, sports therapy, and concussion management. Dr. Warr is very excited to bring these specialized optometric services to the Wake Forest community. 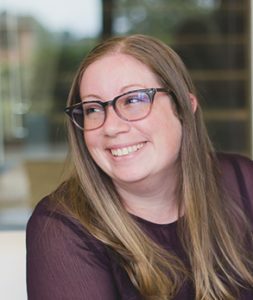 In her free time Dr. Warr enjoys bike riding on the Falls of Neuse Trail, running, crocheting, reading, and spending time with her fiance and four cats. 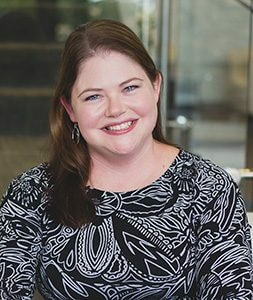 Dr. Jennifer Murphy O.D., P.A. After earning her BS in Chemistry, Dr. Jennifer Murphy went on to earn her Doctor of Optometry degree from the University of Missouri-St. Louis in 2003. After internships at The Koetting Associates, O’Donnell Eye Institute and Saint Louis Community Services, she began practicing in Florissant, MO and relocated to the Raleigh area in January 2005. Over the past 14 years, Dr. Murphy has built relationships with patients and colleagues as part of the Sears Optical Advisory Council. Upon closure of the Sears location at Crabtree in October 2018, she decided to move her practice to Wake Forest and join McPherson Family Eye Care to provide comprehensive and urgent eye care. In addition to visiting her beautiful hometown of Charleston, SC, she enjoys volunteering, reading and traveling abroad with her husband, Dan. They currently reside in Youngsville with their ever-changing menagerie of animals. 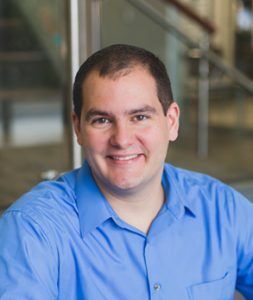 Dr. Stiegemeier graduated from The Ohio State University College of Optometry in May of 2015. Through his experiences with ophthalmologists and optometrists, he has developed an interest in assisting those with reduced vision as a result of ocular pathology. Dr. Stiegemeier provides comprehensive eye care and emergent eye care for all patients. His interest areas of optometry include low or reduced vision, specialty contact lens design and evaluation, and co-management of ocular disease including diabetes, macular degeneration, glaucoma, cataracts, and dry eye. 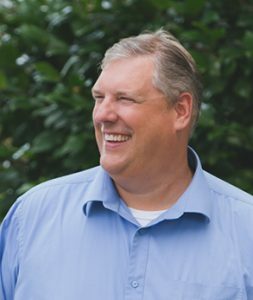 He lives in Wake Forest with his wife, Lori, and his kids, Madeline and Miles. He enjoys bowling and watching The Ohio State Buckeyes put on a clinic for the Wolverines in every sport. Both Dr. Lee and Dr. Samantha met while training at the Bascom Plamer Eye Insitute in Miami, #1 Eye Hospital in America. After moving to Wake Forest, Dr. Lee and Dr. Samantha continued their career and provided care to thousands of patients in the community. Started McPherson Eye Care in 2012. The McPhersons decided to open a practice dedicated to compassionate and outstanding patient care. Our clinical and administrative teams are passionate, caring, personable, and little crazy; that’s why we love them, and we know you’ll love them too! You should expect more than exceptional care from your time at McPherson. You should be welcomed with a warm smile, and every detail of your care handled seamlessly by knowledgeable professionals. That is why we boast the best “first-impressions” administrative team in the business! Our techs are here to make sure you receive excellent, personalized eye care, and an overall outstanding experience. They are diligent, friendly, and experienced in providing the various tests, imaging, and patient training you may need during your visit. McPherson’s optical team is the friendliest and most knowledgeable in town. You will have a blast trying on new frames, and they will have fun helping you find that perfect style for your budget. You can’t rush style, so we spend the time you need to get you looking and feeling great. We believe being highly involved in events and organizations around town is key to building the personal connection we want with the community. Our incredible staff routinely volunteer to work these events and build the relationships that mean so much to our practice. McPherson is proud to sponsor the Town of Wake Forest’s Family Movie Nights. As part of our sponsorship, we put together this little video to introduce McPherson’s family friendly environment. Enjoy!